If you know me, you know that I LOVE anything chocolatey (except white chocolate because that somehow misses the point)! Cacao lovers need the rich, dark, quality brown stuff to really hit the spot! And guess what – there are loads of cacao health benefits (SEE HERE) to justify the inclusion of this decadent superfood in your diet. You’ve just gotta watch the added sugars, crappy fats & other weird stuff that food manufacturers like to add into it – pay attention to quality & quantity with chocolate to ensure you don’t go off the rails with it! It can totally be part of a healthy diet. My first attempt at making ‘healthy chocolate’ was during first year at naturopathy college (1998). We (my student flatmates & I) were all under 20, totally into partying & always broke – somehow surviving on a weekly shop that included porridge oats & the fruit & veg we got through our weekend market gig (I’m a market girl from way back)! So in class, we learnt that you can slow / inhibit the absorption of sugars using fibre, yay! And we had also learned about psyllium husk as a fibre supplement. So – we logically (?) decided, let’s make ‘healthy chocolate’ using psyllium & melted chocolate! (Remember, this was before Instagram & Google were a thing). We were so proud, it was awesome (well edible), & it stretched our chocolate budget nicely! Except we used the cheapest, crappiest ‘homebrand’ cooking chocolate (we’d obviously not yet learned about the importance of quality fatty acids yet), oh well. So anyway – that was my first attempt to make ‘healthy chocolate’. Luckily – things evolved! BallBags were born shortly after Blend11, ticking way more nutritional boxes than the psyllium combo!! versatile & easy to make endless healthy treats with! no food processor required, just add water or coconut oil & shape! 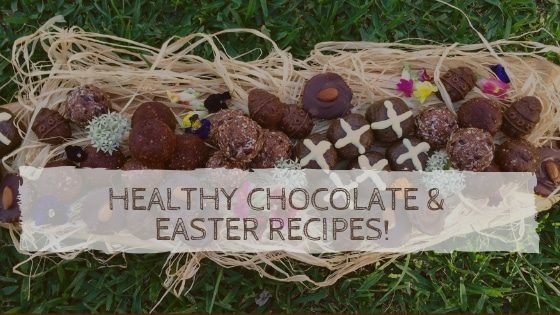 Click the images below and then press enter – for some Easter recipes you can make at home! 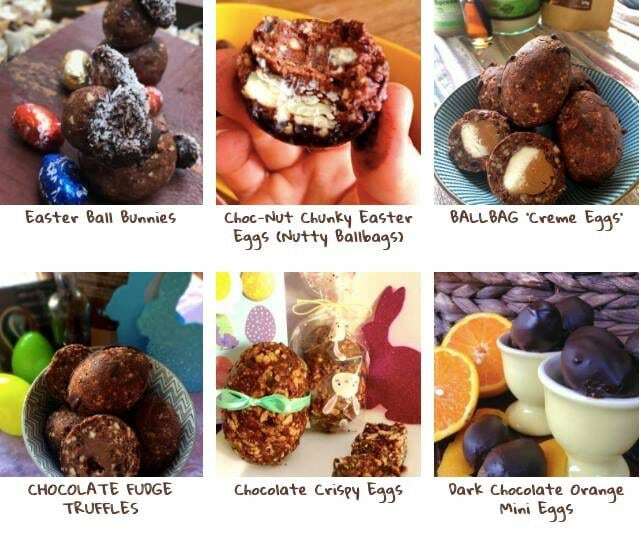 Because it’s getting cooler & it’s almost Easter time, here are some of my fave healthy chocolate recipes made using the BallBags – this is the perfect time to get into the kitchen with the kids & create some delicious ‘hand made with love’ treats for family & friends! You can obviously use any of the egg recipes or adapt the other recipes to suit Easter!